Which Federal Agencies Regulate What Payment Systems? That is a puzzling question to many. 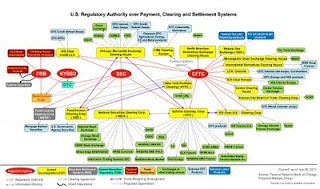 Now the Federal Reserve Bank of Chicago has developed a colorful graphic to help you visualize the regulatory lines of authority in this area. Makes everything perfectly clear, yes? The White House as posted an "infographic" on President Obama's Judicial Nominees: Historic Successes + Historic Delays. Also called Building a Supreme Court for the 21st Century, the graphic features images of Justices Sonio Sotomayor and Elena Kagan, with quotations from the President. It also displays pie charts showing percentages of women, African American, Hispanic, and Asian American judges nominated by the last three Presidents. Regular academic hours resume when School of Law classes begin on Monday, Sept. 26. The Federal Bureau of Investigation has created a website focusing on Mortgage Fraud. It provides general information on frequent types of scams, news stories, and ways that homeowners can protect themselves. 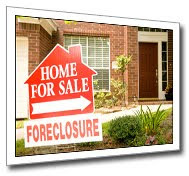 In Washington State, the Department of Financial Institutions offers a Homeownership Information page with additional, state-specific information on foreclosures and common scams. It includes a link to the Seattle-King County Asset Building Coalition's Washington Foreclosure Prevention Resource Guide. Cross-Cultural Legal Transactions Can Easily Get Lost in Translation, says a speaker at the ABA's Litigation Section meeting. Read some anecdotes and tips in this short article. After reading all the news stories, if you still want to read the actual 28-page bill as passed by the House and Senate, see S.365, Budget Control Act of 2011. 11:00 am PST update: the Act as been assigned as Pub. L. No. 112-25, 140 Stat. 240.